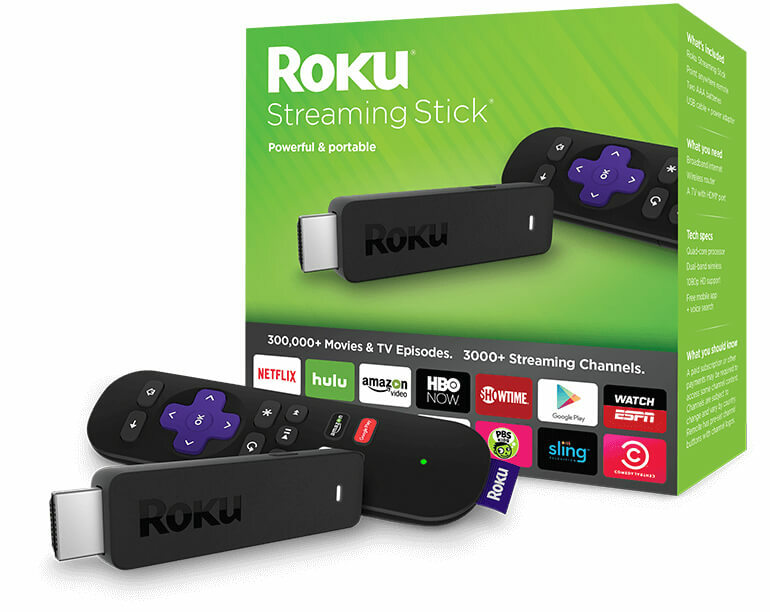 Roku has released a new version of its popular streaming stick that replaces the 2014 version. It’s a pocket-sized device used for streaming online content like Netflix, Hulu, and YouTube to a large TV screen or LCD monitor. NZ specific content from Lightbox or Neon isn’t supported. Note that access to full Netflix and Hulu content requires a foreign DNS setting in your router. The hardware has been upgraded to a more powerful quad-core processor and dual-band MIMO antenna. Wifi connectivity is supported by dual-band Wi-Fi 802.11 a/b/g/n that run on the 2.4 GHz and 5 GHz frequencies. Roku markets the new streaming stick as being eight times faster than the previous version of the Roku streaming stick. It also boasts a faster processor than Google Chromecast and Amazon Fire TV. It’s easy to get started using the Roku streaming stick. Just connect it to your TV’s HDMI port and start streaming content up til 1080p. The popular 4k format isn’t supported. Consumer interested in 4K need to purchase Roku 4 or Roku 3 that contain a set-top box. Source: Roku. Mobile app as remote control for Roku Streaming Stick. There’s a remote control in the box. Alternatively, you can download a free iOS or Android app and use your smartphone as a remote control. There only seem to be a few NZ shops selling the new Roku devices. The price of the Roku Streaming Stick is US$49 and is now available for pre-order on Roko’s site. Shipping starts this month.